Dana Thomas Carvey’s net worth is estimated at $28 million. He is an American stand-up comedian and actor. In 1982, Carvey was a co-star on a television sitcom known as One of the Boys. He also featured in Halloween II during the same year. Carvey rose to fame when he joined the NBC’s cast of Saturday Night Live. Throughout the era of George H. W. Bush as the president, Carvey frequently impersonated him in political sketches on SNL. 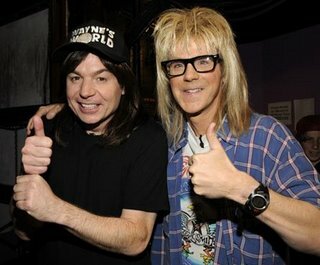 In 1992, Carvey and Mike Myers were the lead actors in the Wayne's World movie which was followed by Wayne's World 2 in 1993. In 1994, he starred in the Clean Slate film. The following year, Carvey produced his first stand-up comedy, Critic's Choice. Since that time, he has appeared in many films such as The Master of Disguise, Jack and Jill, Funny or Die and Spoof. Born in 1955, Carvey is married to Paula Zwaggerman and they have two children Dex and Thomas. The below financial data is gathered and compiled by TheRichest analysts team to give you a better understanding of Dana Carvey Net Worth by breaking down the most relevant financial events such as yearly salaries, contracts, earn outs, endorsements, stock ownership and much more.